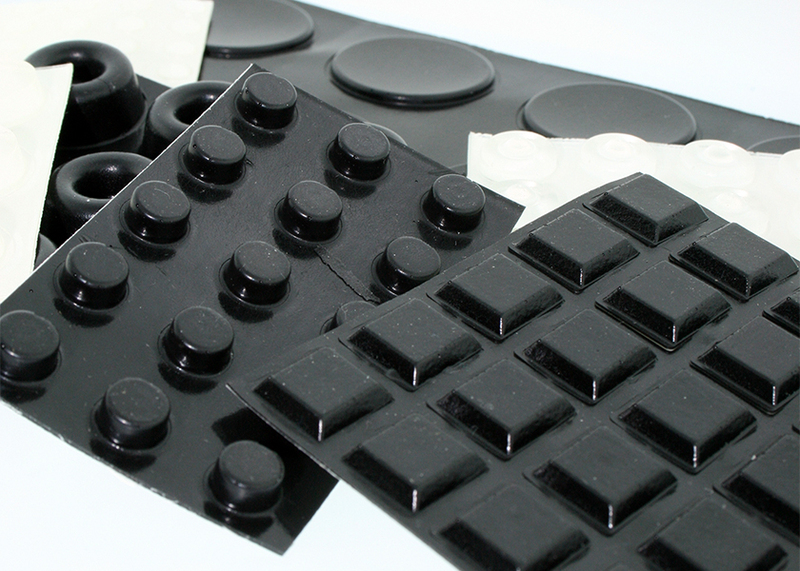 Minor Rubber manufactures high quality molded rubber products for industrial applications. Self-adhesive bumpers are used in a wide range of applications, including electronics, transportation, defense, consumer products, and cabinetry. Minor Rubber serves the OEM and replacement part markets, and maintains inventory for industrial distributors. We maintain an inventory of peel and stick rubber bumpers for quick delivery. At Minor Rubber, we have earned a reputation for manufacturing high quality rubber parts. Our attention to detail and commitment to excellence for every project, coupled with our experience and knowledge of the industries we serve, ensure that your self-adhesive bumper will meet or exceed your expectations. Call today to see how we can be of assistance. Did you know we have the ability to manufacture custom orders? Fill out the form below to ask a quick question. A staff member will get back to you shortly.